Like the Loch Ness Monster from Scottish folklore, only a small portion of life insurance and annuity fraud is ever seen. But unlike the Loch Ness Monster, fraud in the life and annuities fraud is very real and is much larger than the industry is able to estimate. Where are these attacks coming from and what action must life and annuity carriers take to mitigate the problem? 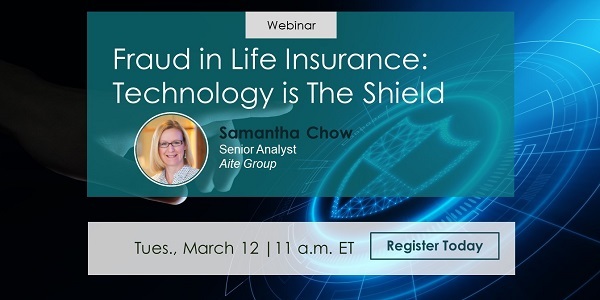 Attend this live one-hour webinar with Aite Group senior analyst Samantha Chow as she highlights some key findings from her recent report, Fraud In Life Insurance: Technology is the Shield. The webinar will highlight key trends driving life insurance and annuity fraud, and identify how carriers are handling fraud. Clients of Aite Group's Insurance practice can access the full webinar on-demand by logging into our website.